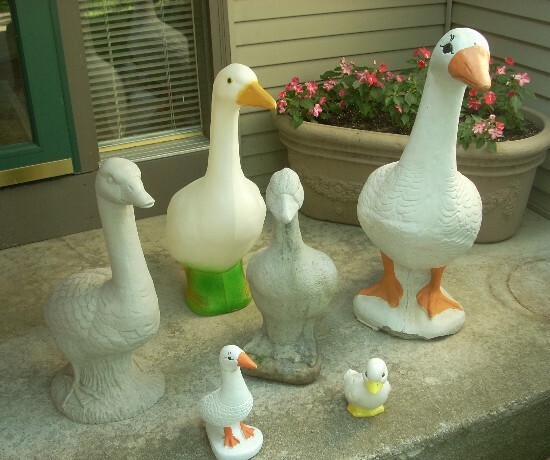 When measuring your goose for outfits you should measure from the top of the head to the bottom of the base. The outfits on this website are sold by the size of the goose NOT THE LENGTH OF THE DRESS OR OUTFIT. 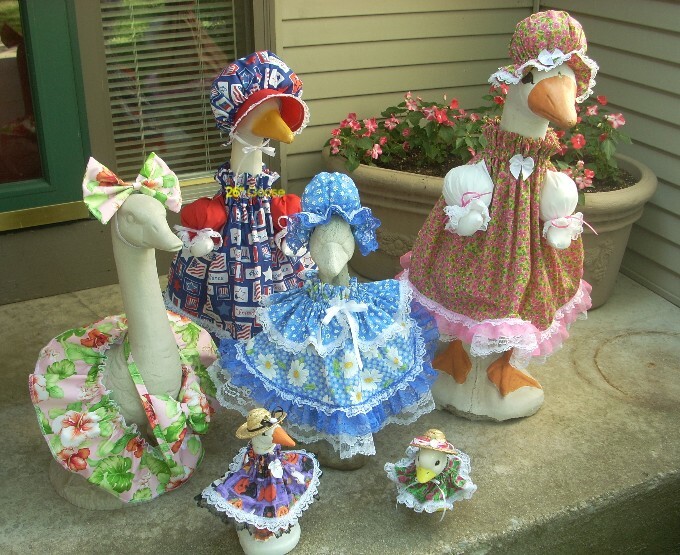 The picture illustrates all the different sizes and style of geese my outfits are tailored for. Starting clockwise at the bottom is the 6" duckling, 9" goose, 19" goose, 24" goose, 26" goose and in the center is the 17" goose. If you have questions about sizing please feel free to email me.